Home / Store Template / How to Embed YouTube Video into Product Description ? How to Embed YouTube Video into Product Description ? You can now begin to edit your product item. 5. 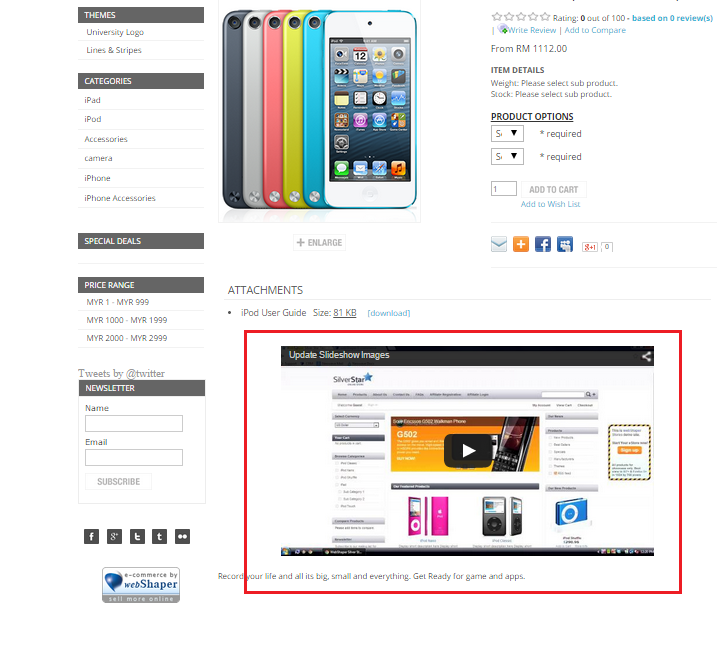 In the long Description Area for your Products, click, the video button. 7. 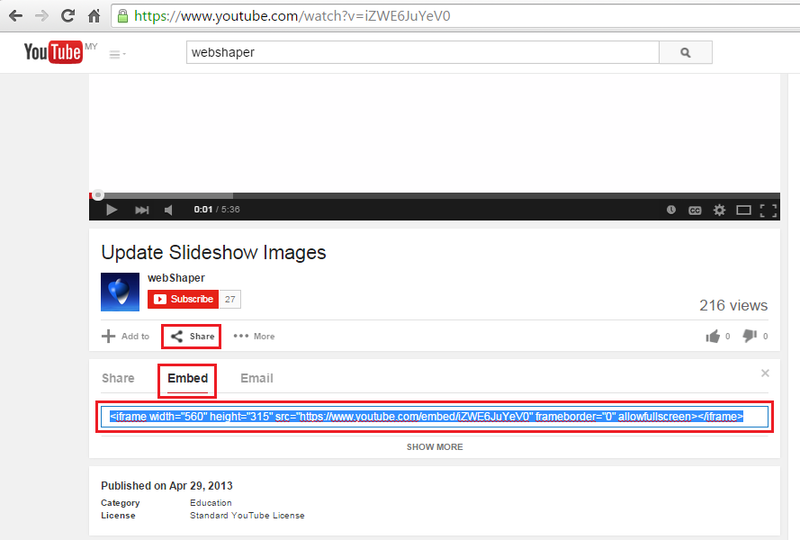 Paste the code you copied from YouTube. You will find that your product has been updated. 9. You can align your video to the center. 1. On your front-end, refresh your page to see the video. 2. If your video isn’t appearing, try clearing your browser history, follow this link to find out how.